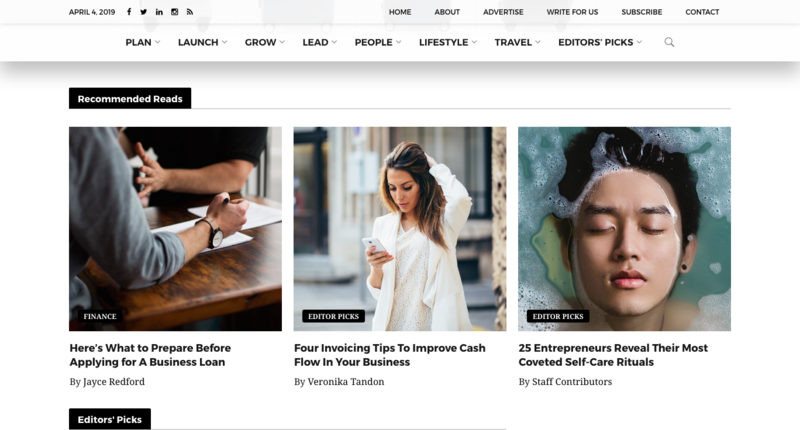 One of the largest independent small business media sites, YFS Magazine, a Young, Fabulous & Self-Employed brand, is the definitive digital magazine for startups, small business, and entrepreneurship culture. Social media amplification to 34,200 followers across our official Facebook, Twitter, and LinkedIn accounts within 24 hours of publishing. One (1x) post per account. Thanks for your interest in becoming a YFS Magazine Business Contributor. Articles submitted for consideration should be of interest to readers of YFS Magazine. We like articles that introduce new ideas and advance conversations around topics and trends that engage our readers–think op-ed rather than thinly veiled marketing messages with no valuable takeaways. We appreciate lively, polished writing that balances research or news with fun and memorable anecdotes or examples that help illustrate your point of view. Read YFS Magazine to get a sense of our editorial style and content to view examples written in a similar vein. Guest posts should be complete and ready for publishing. We do not accept pitches or press releases here, only complete drafts. We ask all authors to disclose any business or financial relationships they have with companies cited in the guest post. Failure to do so will result in declined submissions. Links MUST be relevant to the subject matter in the guest post. Links deemed promotional and spammy will be deleted. Submit content in HTML format if your article includes links. We recommend using an online text editor (e.g., WriteURL or Draft) to correctly format your guest post. We do not accept Word documents or attachments. Content must be the sole property of you the "Contributor" and must not violate the copyright, patent, trademark, right of privacy or publicity, or any other legal rights of any person or entity. If you are a third-party submitting content on another parties behalf, you must have expressed permission and authorization to do so. You retain all rights to your work. However, by submitting a guest post, you grant YFS Magazine a non-exclusive, worldwide, royalty-free, irrevocable license to the content, which YFS Magazine may use and distribute (along with your name and identifying features) on its websites, applications, and other properties and those of its affiliates and business partners, as well as for marketing and promotional purposes, online or offline, in any medium and mode of delivery. By submitting articles to YFS Magazine you indicate acceptance of our Guest Contributor Agreement. Social media amplification to 35,000+ followers across our official Facebook, Twitter, and LinkedIn accounts within 24 hours of publishing. One (1x) post per account. While we encourage drawing from your own experiences in business to support your ideas, over-the-top self-promotion (of yourself or your company) will prevent us from publishing your article. The same goes for dense jargon and abstract, blanket assertions. We do not accept pitches or press releases here, only complete drafts. Links MUST be relevant to the subject matter in the guest post. Links deemed promotional and spammy will be deleted. We recommend using an online text editor (e.g., WriteURL or Draft) to correctly format your guest post in HTML. Content must be the sole property of you the "Contributor" and must not violate the copyright, patent, trademark, right of privacy or publicity, or any other legal rights of any person or entity. If you are a third-party submitting content on another parties behalf, you must have expressed permission and authorization to do so. You retain all rights to your work. However, by submitting a guest post, you grant YFS Magazine a non-exclusive, worldwide, royalty-free, irrevocable license to the content, which YFS Magazine may use and distribute (along with your name and identifying features) on its websites, applications, and other properties and those of its affiliates and business partners, as well as for marketing and promotional purposes, online or offline, in any medium and mode of delivery. By submitting articles to YFS Magazine you indicate acceptance of our Guest Contributor Agreement. Get high-profile and influential press coverage of your company. Build your brand and gain industry attention by submitting your online interview for a feature in YFS Magazine. To gain familiarity with our entrepreneur profiles visit yfsmagazine.com. 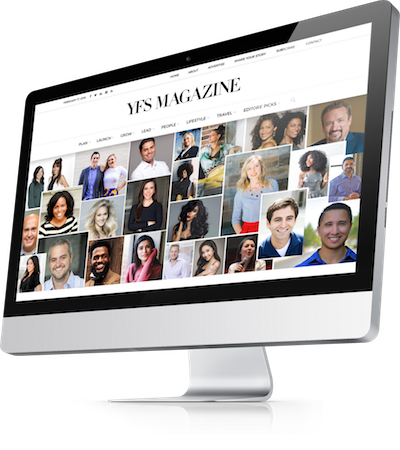 If you are completing this online interview on behalf of a client, YFS Magazine does not accept pitches, only complete drafts. Please no abstracts, press releases, or thinly veiled marketing messages with no valuable takeaways. Want to share your press release? | We don't accept them here. Entries that include a press release will be declined. Click here to share a press release. You will be notified via email if it is selected for publishing.